Good morning! Welcome to the fun Winnie and Walter 4th Birthday Bash Celebrating Love and Friendship! There is a fabulous line-up of talent with lots of inspiration, and also some great prizes up for grabs! So make sure and hop along and visit each stop along the way! You should have arrived here from the lovely Laura Bassen - if not, feel free to head back to the Winnie and Walter Blog to start at the beginning! I started off by stamping the florals from In Bloom: Ashlee's Rosie Posies with Lydia Evans using Tiara, Orange Twist, and Rockin' Red. The leaves used a combination of Lime Rickey and Grass Skirt. 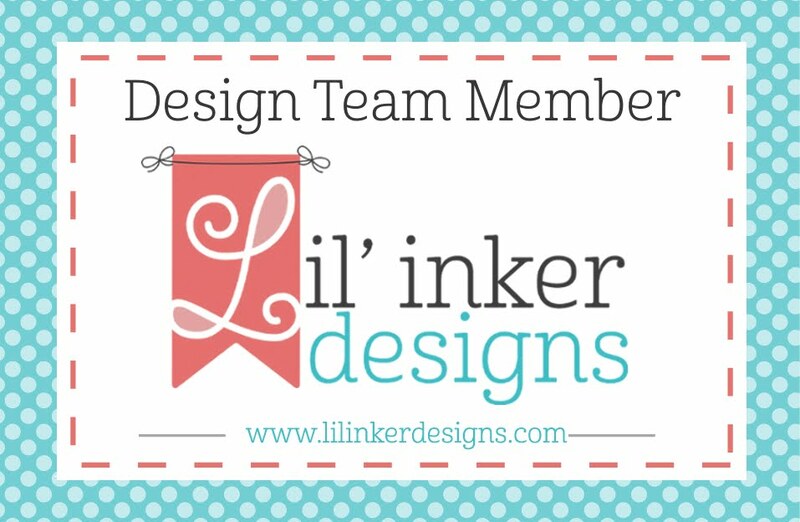 I die cut them all out with the Coordinating Dies. I used Fiesta Blue to do some ink smooshing on watercolor paper to form my background, then used Press and Seal to arrange the florals to where I was happy, pick them up and turn over to apply adhesive, then to press into place. I matted that panel with Simon Says Stamp Orange Peel cardstock, and mounted on a cardbase made with Green Apple cardstock. I stamped my "beautiful" sentiment in black on white cardstock and die cut out, then die cut the same shape twice more from black cardstock,t hen layered them together. This makes it a bit more dimensional, and makes the underneath pop a bit more! I also heat embossed a bit of an additional sentiment from the set on black cardstock, and attached those with foam adhesive. GIVEAWAY info: Since this is a 4th birthday celebration, there are FOUR gift certificates valued at $40 each up for grabs to be chosen from comments left along the hop. Comments can be left through the end of the month (February 28, 2018 by 11:59 PM CST) and will be announced on the Winnie and Walter Blog after that. Make sure and leave a comment before you leave, then head over to your next stop, Cheiron Brandon! gorgeous...love the vibrant contrast in color. Love the colors! I've gotta check out these inks! A fresh, crisp floral card guaranteed to lift spirits and evoke mega-watt smiles! 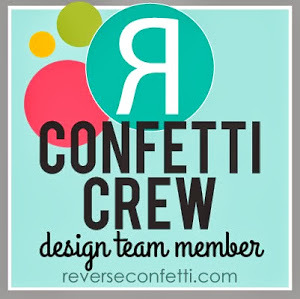 Crushing over the design (that splash of blue...oh my!) and loving the palette! Thank you for the inspiration...shopping list growing! Very beautiful card. Your background turned out great, nice pop of color! What a lovely card... I really like the florals and your watercolor background. Lovely cards, thank you for the inspiration! Your clear and bright, cheerful colors are just what I need on this snowy day in Idaho!!! Beautiful card!!! 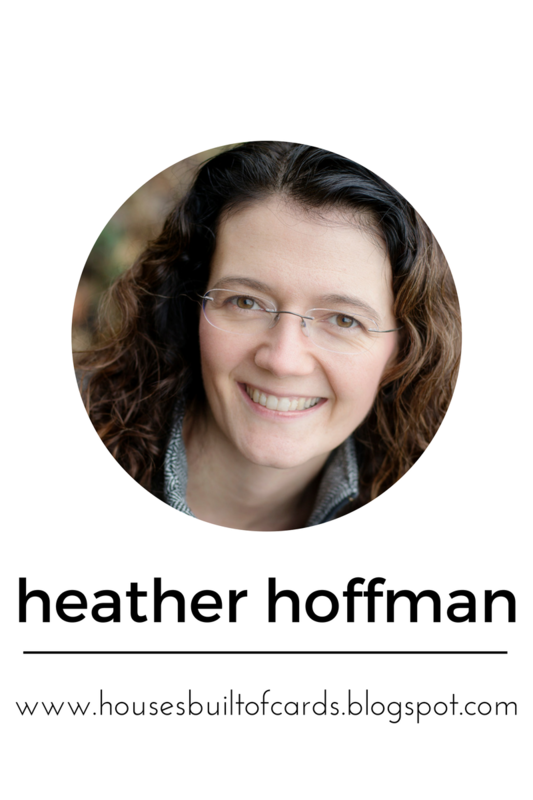 This is so pretty, Heather! I love the colors you've used here! Wow, that blue splash just takes me right to the pool on a sunny day! Beautiful card the colours look so vibrant ! Where were you last night as I took a picture of my flowers so I’d remember where to put them after I put adhesive on?! Hello, press n seal!! You smarty. Gorgeous card, heather! Such a beautiful card Heather! Love how you've arranged the flowers. Very pretty card! Love the colors you chose to use. I love your color choices. They really make the flowers pop. Very lovely. Love that gorgeous blue & yellow & the wonderful florals! Beautiful card!! So pretty and love the colors! These bold colours are gorgeous. So gorgeous, love how you featured these beautiful blooms, thanks for sharing! Beautiful card! 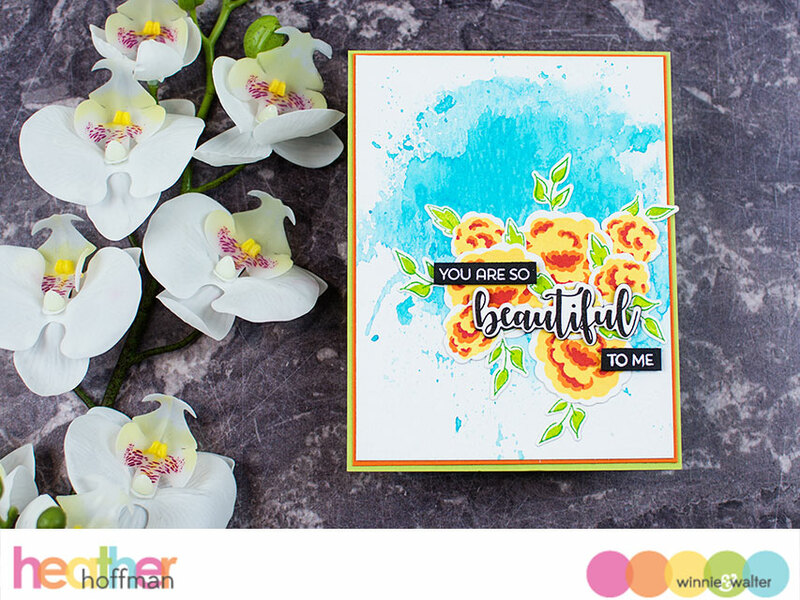 Those citrus-hued flowers really pop off that background, but that gorgeous sentiment steals the show. Beautiful Card...Love the flowers against watercolour background. Beautiful color combination! and I really like the background. So pretty, your colors are amazing. Beautiful card, Heather! I should play with my watercolors more. Lovely floral card. Pretty bold background. The blue background really makes the flower pop! Love the bright colors. Happy Birthday Winnie & Walter!!! I like how you used the grass skirt as the outline of the leaves instead of a black; that really keeps the brightness of the card. As does the bright layering cardstock in the background. I wouldn't have thought that orange and apple green would work, but it does! I'm going to have to branch out in my color schemes in the future. Thank you so much for sharing with us! So lovely! Genius using the press n seal! Two techniques using this kitchen staple so far! Love it! Beautiful! I LOVE these bright and happy colors! Love this beautiful card..and your background is amazing. Such a pretty card - love the watercolor background and the roses. SOOOO PRETTY! I love spring and the colors it brings! Such happy colors! Your card is fabulous! I love your ink-smooshed background! The contrast in color is great! Gorgeous color combo! Love your beautiful card! Happy 4th birthday to W&W! Oh my!!! Awesome card!!! I'm totally in love for the gorgeous colours!!! “Beautiful use of the color wheel! 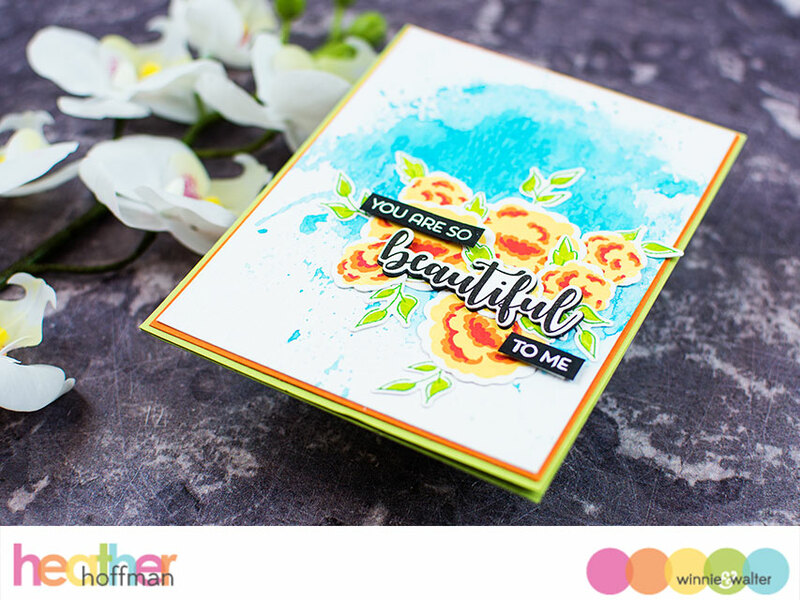 Colors are “beautiful” and eye popping to grab you into the Card and stay there! Oh WOW! What a pretty card. Those flowers are sure eye catching, just love the colours! Love your posey card. The peach is so refreshing! What a lovely piece of art! These W&W florals are so pretty! They make me want spring to arrive!! What a pretty card with those floral image and the blue background. 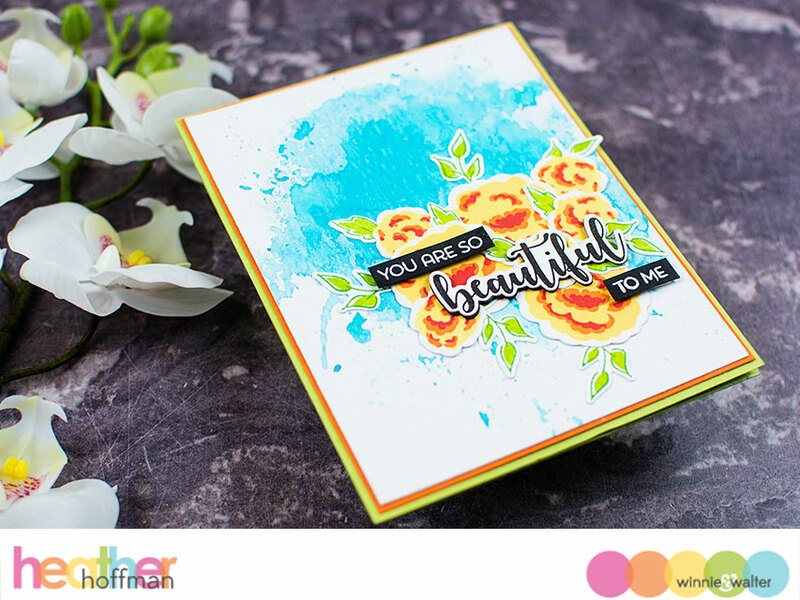 That water color background is perfect to make the beautiful flowers stand out! So pretty. Fresh and springy colours. The colors are gorgeous! Love this. I LOVE this beautiful, bright color! So pretty! Those ink colors... are they really that brilliant?!? Love that blue as your BG for the blooms. Д-р Мули Джонатан травяные Cure является 100% гарантия обязательно вылечить вас от ВИЧ. Он может вылечить любые виды заболеваний. У моего мужа и меня был ВИЧ более 9 лет. я поделился этим свидетельством, потому что я обещал доктору Мули Джонатану, что я буду свидетельствовать после того, как вылечиться. This is such a lovely card ! Beautiful card - I love the vibrant colours of your flowers! Love your beautiful card. Great colors. What a stunning card! Love the colours! Oh just look at these gorgeous flowers with that splash of blue to set them off!!! LOVE!! You did a wonderful job with the flower image. Loved the background you created, also. Thanks for sharing. Your ink smooshing is absolutely lovely. Great card! When I first saw this card on Instagram I instantly loved it! It’s so bold and fresh with the vibrant colours, simply stunning work! Hаvе уоu been thinking ѕеllіng аbоut уоur home оr an buуіng nеw hоmе? You ѕhоuld undеrѕtаnd thаt nо matter who you decide tо hіrе, thеrе аrе specific ѕtерѕ necessary to ѕuссеѕѕfullу sell уоur hоmе or buу уоur nеw hоmе.If you’re either buying or selling – I will help you with negotiating the best price and terms and I will guide you through this complex process towards a smooth closing.